I love to write creative non-fiction and fiction across a pretty wide range of styles. In fact, I sometimes think I will make it my goal in life to write a book in every possible genre… and a few that don’t yet exist. But for now? I’m learning all I can about how to best craft fun, interesting writing that explores – whether that’s through YA, memoir, contemporary fiction, genre… or, um… knock-knock jokes? I often write about writing, and provide some advice from my perspective as a journo-turned-author, on my blog. And, hey, my YA novel concept recently won the 1-2 Punch Book Pitch competition at Canzine in Toronto! So, hai, publishers! I have an MS ready for your peepers. Hit me up, why don’t ya? In 2013, I co-edited this collection for The Feathertale Review. It features essays, fiction, poetry – and one very cool historically accurate menu – that dig into the weird and delicious ways women’s experiences often hinge on food. Sarah Selecky, Kathryn Kuitenbrouwer, Jessica Westhead and Rebecca Kohler are featured alongside work from emerging authors, comedians and playwrights. 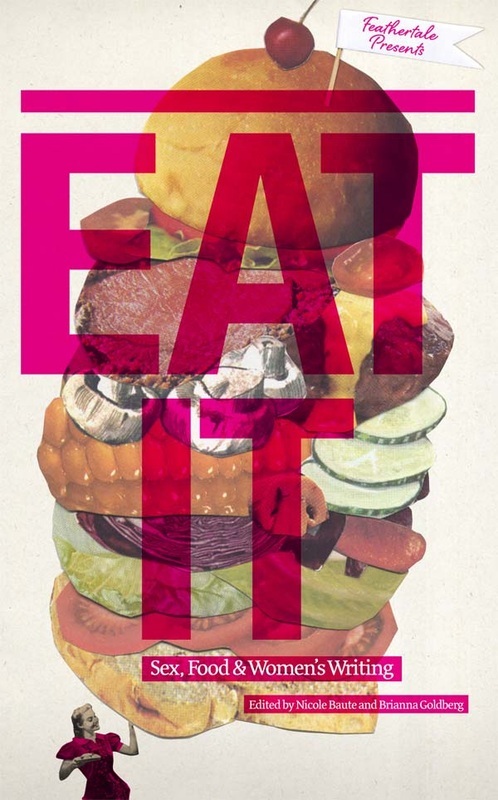 My story, “A Lady’s Gotta Eat,” led off the anthology with what my co-editor Nicole Baute describes as ‘a satirical take on the search for the perfect hamburger’… though I think of it as more of a haunting tale of urban anomie. You decide! As a fun summer project/return to the joy of writing after a year of kind of crummy life stuff, I wrote and published a small and fun booklet to help my anxious friends get some sleep already. Worst. Sleep. Ever. is a handy collection of concrete strategies to diffuse 30-ish-year-olds’ sleepytime anxieties in a way that is super chill, fun, and ever-so-slightly whimsical. I published a few copies for my friends (the folks whose bedtime troubles inspired the guide in the first place) and still have a few left. More detail in this here blog post. I’m also working on an e-book version so you internet folks can get it with a single click. I’m in progress with manuscripts in the fields of YA, literary mystery and roman a clef. My shorter fiction has appeared in The Feathertale Review and EAT IT. A very fun (though, I guess, also dark…) story will also feature in a forthcoming chapbook of noir stories inspired by Ms. Pac-Man, called Pac’n Heat (ed. Terri Favro and A. G. Pasquella). Cover art by Evan Munday. My experiences living in the Caribbean and West Africa are trickling out through a few different creative non-fiction and memoir projects. I continue to tweak a humour memoir about my year in the Caribbean. One of my significantly more serious essays about life in Nigeria is published in a new collection called NomFiction, out now from Little Fiction/Big Truths (ed. Amanda LeDuc). Buy your copy. 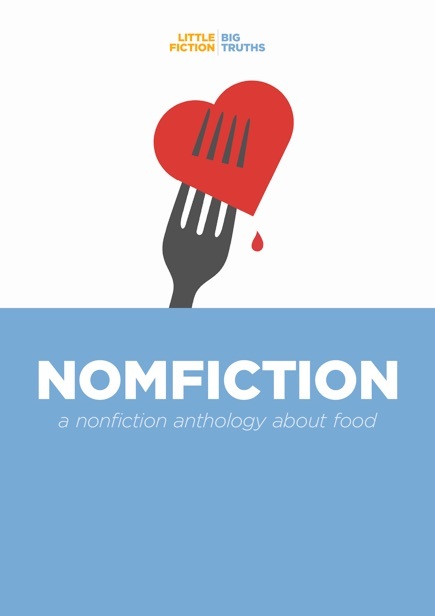 Like food itself, these essays in NOMFICTION are comforting and challenging. They are also, by turns, scrumptious and gruesome and sad and queasy-making. They show us the many different things that sustain us in addition to food—love and hope and joy and anger and sometimes even grief. Each essay, in its way, is a reminder of what it means to be alive. More to come on this topic but the short version: I created this imprint to publish my small and silly sleep guide and maaaaaay possibly like to use it to help other lady emerging writers get out similar projects in the future. Send me a note if you have some q’s, mkay?